In your day to day activities in the Orting area, you may lose some or all of your teeth due to accidents, injuries or disease. Losing your teeth can take away that smile that you cherish and also deny you the ability to chew properly and talk properly. Dentures provide you with a great and practical solution for lost teeth. You can get partial dentures or permanent dentures in the Orting area depending on how many teeth you have lost. A dentist will also provide advice as to whether you should get partial dentures or permanent dentures. Partial Dentures for Orting Area Patients • Why Replace Missing Teeth? When you lose teeth, it leaves you unable to chew or talk properly. You are also not able to show that smile that you once had. But you can replace missing teeth using partial dentures. To get the right partial dentures, you need a good dentist. Dr. Nash is a highly qualified and experienced dentist who will help you to replace your missing teeth with partial dentures in the Orting area. Get partial dentures today to replace your missing teeth and get your smile back. Dr. Nash has a great team, all of whom will ensure that you feel well taken care of when you come to us in the Orting area. Why Should Orting Area Patients Choose Us for Permanent Dentures? When you have lost your teeth and you are seeking a solution, getting permanent dentures is a great choice. 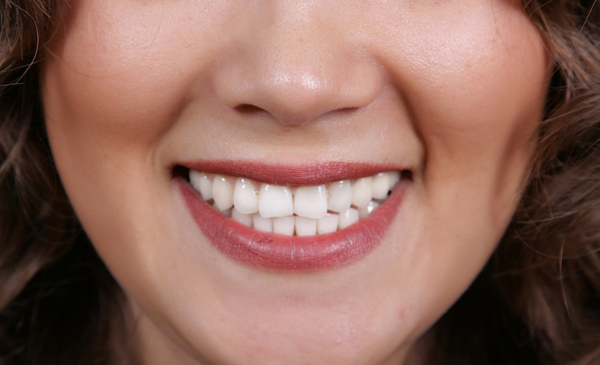 Get permanent dentures to replace your missing teeth and you will be able to show your smile just like you used to. Permanent dentures give you the ability to talk and chew just as if you have natural teeth. Furthermore, permanent dentures look natural and feel natural. 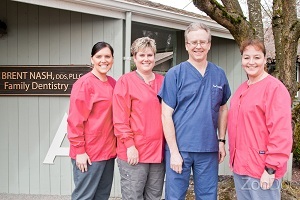 If you are in the Orting area, come to us for permanent dentures.